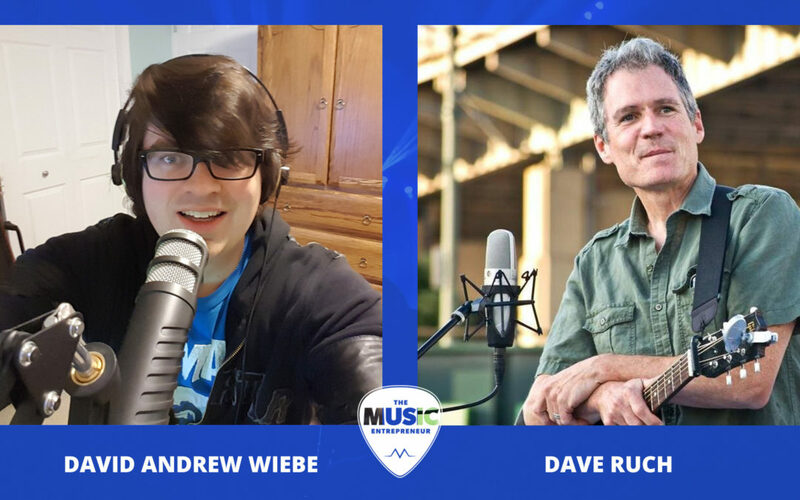 David Andrew Wiebe sits down with Dave Ruch to discuss educational concerts, making more money as a musician, content marketing, social media, books, and more. 03:42 What are your goals with your advice blog? 06:46 How important is it for you to have a strong online presence? 07:40 How would someone go about setting up an effective website? 11:00 How are you marketing yourself with social media? 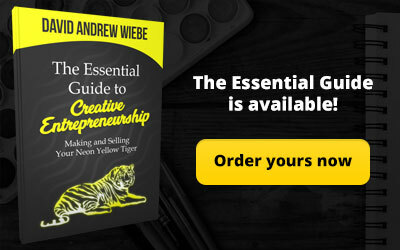 14:44 How are you building your email list? 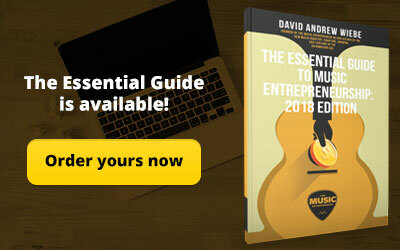 16:28 How do you get established in your local market as a musician? 25:08 What is an educational concert? 29:40 How are you serving different audiences in different ways? 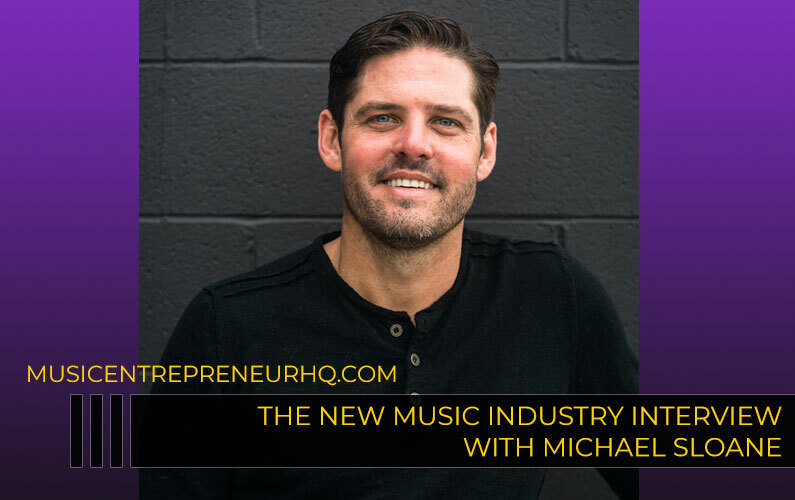 34:15 How did you start making a living as a performer? 37:20 Are there any books that have really impacted your thinking or approach to your career? David: Today I’d like to welcome performer and teaching artist, Dave Ruch to the show. How are you today, Dave? Dave: I’m doing great. How about you, David? David: I’m doing well, a little bit tired. It’s a busy week for me, but I am always happy to do these interviews. 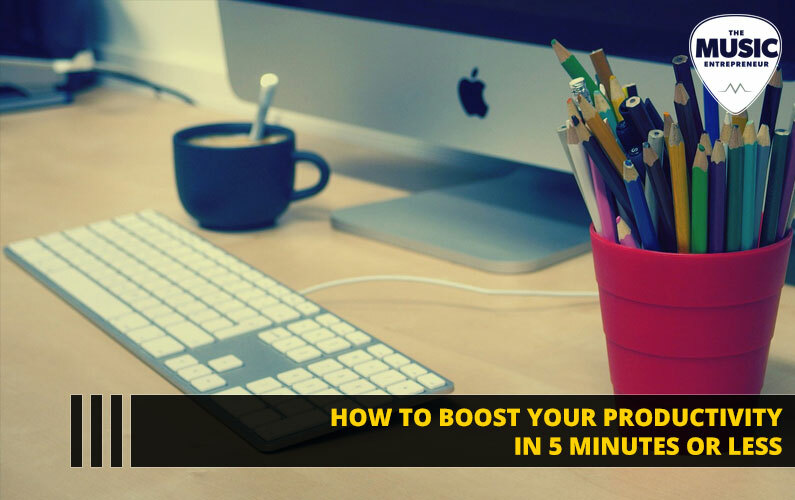 You said that you originally came across my blog because of what I shared about productivity advice towards the beginning of the year. I always feel like beginning of the year is the right time to share that kind of stuff. But it’s cool to hear that my posts are getting shared around a bit and are getting noticed. Was there anything that struck you about that post? Yours was one of the first ones that came up. And I’ve been very impressed with just the technical quality of your site, if you will. It’s really well laid out. I think it’s really easy to read, and of course, there’s great advice there. Those are the things that have struck me right off the bat. David: Thank you for saying that, and I definitely appreciate that. So I imagine you must have come across some of the other notable online music bloggers, too, right? Dave: Maybe. I can’t say that I’ve found a ton. 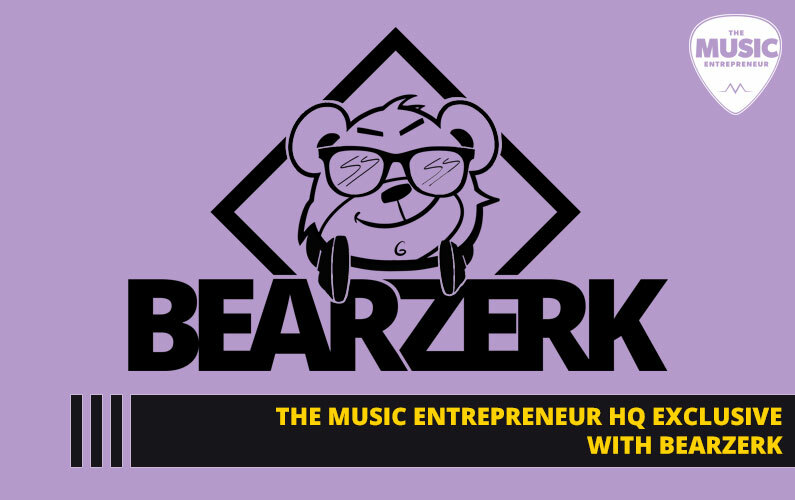 And also the type of musician and performer that I’m writing for is really a subset of…there seem to be a lot of people writing for people who want to get their music heard across the world and build a career in the mainstream music industry. And so what I’ve been writing about, and where I’ve been focused for the last 25 years is doing all my performing as more on a local and regional level, sort of how to make a great living as a musician, without a need for the music industry per se. 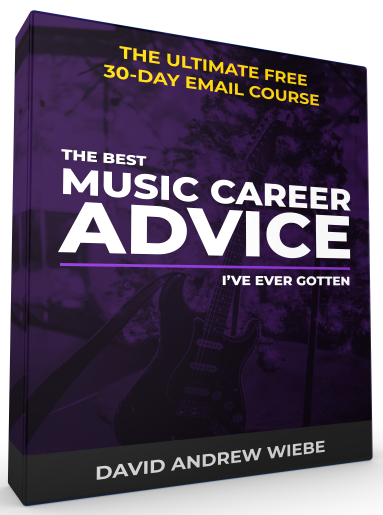 In other words, how to be a working musician and make a really good living, and be able to be home at night and not have to feel like you’re tied into royalties from streaming and all the stuff that so many other musicians are wrestling with. So that’s all a long way I guess of saying that a lot of the music blogs out there don’t necessarily speak, I don’t think, to the same audience that I am. I don’t think you can set that up anywhere, like in a small town, unless you’re surrounded by some bigger cities and markets that you can tap into. But I do feel that self-initiated career is also very entrepreneurial, despite how that sounds. David: Yeah. So I like that a lot. I wanted to ask you a little more about your advice blog that you started. How has that been going for you so far? It seems like you’ve actually been getting some good engagement and comments on your posts. Dave: Yeah, it’s been going great. I initially started it just back in December, so just four months ago, initially to help some pretty talented musician friends of mine who all seemed to have a common complaint or two, which was that they just weren’t making enough money, they weren’t able to…there’s a great local music scene here in Buffalo. And so a lot of these people are super-great musicians, and singers, and performers who are out making 50, 60, 75, or 100 bucks a night doing gigs, but it’s the same pay scale that they’ve been working with for 20 or more years. And about 20 years ago, I stumbled into this whole other way to do music that involves doing a bit of educating while you entertain people, so in venues like schools, and museums, and libraries. So I’ve, myself, backed away from doing a lot of nighttime gigging. And, for me, it was just a byproduct of having kids, starting to raise a family, and wanting to be home more, and stuff like that. So the response has been great. I started it to help some of the local musicians find some new opportunities where they could actually make a much better paycheck and still be home at night, or at least sort of be based in their home region. And so that’s sort of how it started. I had maybe 35 or 40 subscribers who were all people that I knew personally. And I just started to publish, I’ve been publishing one article a week on marketing yourself, and finding different opportunities, and grant funding for musicians, and topics like that. So it’s really been spreading, I’ve got now several hundred subscribers, most of whom I don’t know or have never met, and from all over the world, who are finding it. And it seems like every week it’s growing by 20 to 50 new subscribers a week. So it’s been really great. It’s been gratifying and it’s been really fun to see what everybody…what all the subscribers, what they do. What kind of music are they doing, and what are their questions? And so there’s a comment section on every blog post that I publish, so it’s really a great way to get some feedback. David: Well, congratulations. That’s awesome to hear. And there are several aspects that I want to touch on that you just kind of went through there, but you have a pretty amazing website and online presence. How significant is that for you? How important is the online component to what you do? Dave: It’s huge. I mean, it’s everything at this point. On the performing side, my website is essentially an interactive brochure of sorts where, my website is really geared not for fans at all, but for people who are considering hiring me. But then the blog side of it, which is where I write for other musicians and performers, I wouldn’t be able to do that without…I mean, the Internet is the great equalizer, and it gives us all a platform, and all a place to share things, and hopefully a place for people to find our ideas and our music. So, yeah, the website is critical to all that. David: Now, if someone else was looking to set up an effective website, what sort of tips would you have for them? Dave: I guess it depends. You’d have to take a look at what are your goals. Are your goals to engage your fan base and create sort of a robust email list of fans and supporters of what you do? Are your goals for your website more in terms of getting bookings? But I think, overall, just to make a general statement about that, I think it’s super-important to be able to capture as many visitors to your site as you can in one way or another so that you can keep in touch with them. If somebody has visited your website once, they had some kind of initial interest in what you do, or at least, curiosity. So the more of those people you can stay connected with, whether that means encouraging them to opt into your email list, and maybe giving them some incentive to do that, or even…for a couple years now I’ve been using these Facebook pixels. Do you know about those, or do you use those, David? Dave: Facebook will provide a pixel, which is essentially a piece of code that you can put on your website. And what it does is it creates an audience within Facebook. It creates an audience of people who visited your site, who also happen to have Facebook accounts. It’s a little bit little bit creepy in a sense. But it’s not quite as creepy as when you’re on Barnes & Noble and you look at a new razor blade shaver, and then it follows you around the Internet for the next three weeks. But it will save an audience of anyone who’s visited your site who also is connected to a Facebook account. And then when you want to go, and when you have something you’re trying to promote, whether it’s a gig, or whether it’s a new CD, or in my case, a new article I’ve published, I can target just those people who’ve already been to my website, so they already have some familiarity with me. So those kinds of things I think are super-important for a website. It’s just being able to capture as many of your visitors as you can. 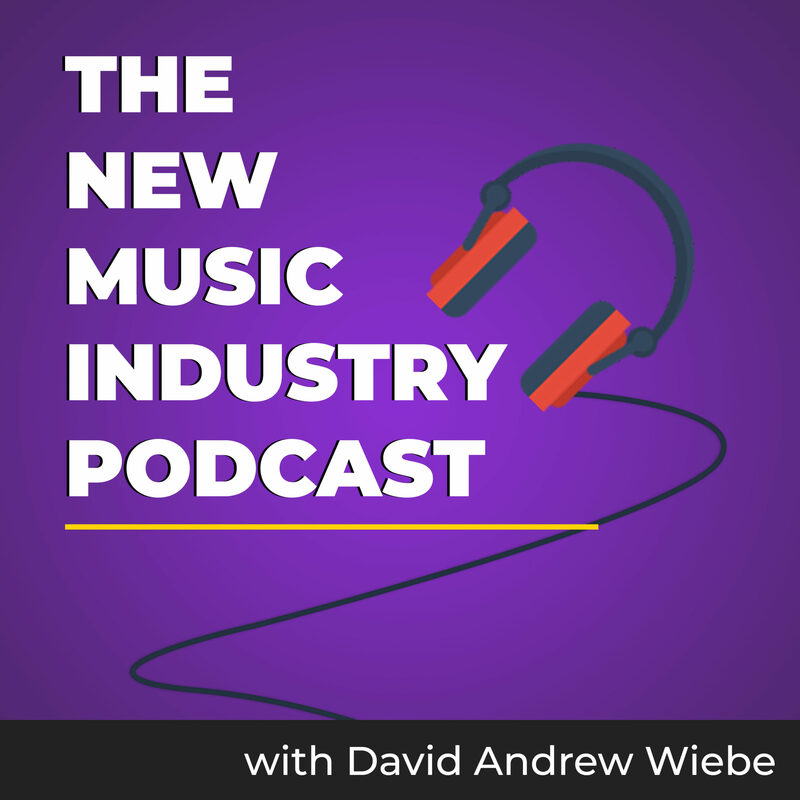 Dave: Yeah, that’s always going to be your hub, and it’s always going to be the place that you own, as opposed to the place that SoundCloud owns, or ReverbNation owns, or anybody else. So that’s where you can control the experience the most for your visitors, and it’s always going to be important. David: I totally feel the same way, so awesome. It sounds like you’ve really got the marketing side together, so what are some other ways that you’re marketing online with your website and your social media presence? Dave: Social media, I think for so many of us, we’ve all been experimenting with what’s the best way to use it? And I think we’ve all had the experience of creating a Facebook…we’ll just use Facebook as an example. I guess my three main channels are Facebook, Twitter, and LinkedIn. I’m an old guy. I’m 50 years old, so things like Instagram and Snapchat are not really where my audience hangs out. But if we take Facebook as an example, I think so many of us have set up a page for a band, or our music career, or whatever it is that we do, and over time, we’ve seen the level of engagement there just plummet. Where we used to be able to reach a fair number of the people who’ve liked our page, and now it’s down to…there’s an average engagement level or an average reach for a Facebook post to your page of about 1 to 3% of your audience. So it’s become increasingly hard to rely on social media in order to get the word out in terms of marketing. So, for me, email is the key hub. I mean email is how I do all my marketing in terms of generating work for myself, generating gigs. I have a massive email database that I’ve just built up over 20 years of the kinds of venues that tend to hire performers like me. And I encourage anybody who’s serious about making a good career for themselves to literally building it one name at a time, start building a really strong email list of potential venues that you have been in touch with, that you would like to work for, because it’s all about…in fact, I’m writing an article about this right now, it’s all about reaching out to these places continuously over time. What I’ve learned over time is it’s not until the sixth, seventh, eighth time they’ve heard from you that they start to know who you are, remember who you are, and start to consider you. So it’s a long game, it’s really all about continuing to stay on people’s radars over time, at least that’s how it’s worked out for me. David: Well, it really is the same thing with getting interviews like this, too, when you’re doing podcasting and you’re reaching out to maybe someone a little more high profile. Whether they are high-profile or not, honestly there’s a lot of follow-up work involved. So it’s very similar to you. You can’t just follow up once and go, “Oh, well, they don’t care and they don’t like me,” or something like that. We play those mind games, right? David: Yeah, but you said, and I totally agree, you said something super-important there, which was building your email database. So I’m guessing part of that was collecting emails at shows that you did initially, and then also collecting emails online through your website, too, right? Dave: Yes, and in terms of my email database, I’m talking about an email list of venues, of places…contact people at places that book performers. And so that’s been built up, like I said, sort of one person at a time just through going online. A lot of my work is in schools, going in and doing performances for kids of different ages and tying the theme of the performance into something they might be studying. So, in my case, I do a lot of historical music and older traditional music, so I know that third-graders all across New York State, where I live, learn about world cultures and world communities. So I’ve put this concert together of music and instruments from around the world. And I come in and I demonstrate these different instruments, and I sing some songs from different cultures. So one school at a time, finding out who’s the person who tends to hire performers to come in, and answer them initially, and then adding them to my email list, so that over time, over 20 years of doing this, I’ve built up a huge database of people who are in these positions to hire performers. And so that’s been the whole key to me being able to make a good living at it. David: Awesome, I like that. I want to circle back to this idea of getting established locally. What tips would you have for musicians that are trying to do that? Dave: Gosh. In terms of getting…I think it’s all about networking, right? Dave: Just getting out into the music scene and meeting as many people as you can, and going into as many different shows as you can, and starting to collaborate with people, and starting to promote them. Forward some of their stuff through your social media, rather than always talking about yourself. These are the ways…if you think about it, anything we try to do in terms of marketing ourselves, the same rules apply as when we’re meeting someone in another context in our day-to-day lives. When we meet someone for the first time, we don’t decide to bring them home with us, or go into business with them, or make any kind of other big transaction, it’s all about building relationships, right? Dave: In an organic way, so I think just getting out there and getting to know as many people as you can. And then as you start to look for better gigs than the $75 bar gig, I think it’s all about connecting with the funding organizations where you live, so in other words, arts councils, granting organizations who provide funding for performances. These are the next level where, if you’re interested in really making a sustainable living…for quite a while I was giving guitar lessons out of my house and playing in bars, and I was scrapping an okay living together as a musician when I was in my 20s. But I just got to a point, later in my 20s and into my 30s, where I just needed to be making a lot more money at it if I was to continue to do music full-time, which is really what I wanted to do. So yeah, then it becomes a matter of connecting with the cultural organizations in town, and the arts councils, and those kinds of places that can really get you, again, networked and connected with a whole other range of people who are arts…there’s a whole world of arts programming that, in my mind, I don’t want to say above the level of performing locally in clubs and stuff, but it’s a very established industry. So there’s a whole world of opportunities out there, and I think it just comes back to getting connected, just getting to know as many people as you can. David: Yeah, absolutely. And I think there’s probably musicians like me who can relate to this idea of the minutiae of playing in a bar. David: Certainly not to insult any venue, but that can definitely wear on you over time, and then you want to seek better opportunities in a sense, right? Dave: You do or you don’t. For some people, playing in bars is just exactly what they want to do, nothing against any of that. My approach, as I said earlier, has been based more on the necessity of, “I’ve got to figure out how to make more money than I’m making playing in bars.” Right? Dave: So that’s where I’ve come to with it. And I do, I guess we talked about it a little in the beginning, I have several really super-talented friends, musicians, locally, who do feel stuck in the bar scene as being someplace they no longer are happy being. I was happy doing bar gigs. I mean I think it’s one of the most fun things you can do as a musician. 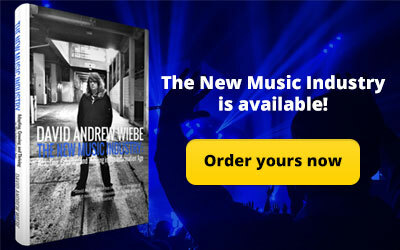 So, yeah, it’s all based on your needs and what you need to accomplish with your music. David: Yeah, and I guess that’s my main point, you might have to look for opportunities. Maybe not, but in some cases, you might have to look for opportunities outside of bars and pubs to find something that helps you make a career out of it. David: You mentioned earlier there’s a lot of artists that are kind of struggling with money, and I guess that’s kind of related to what we just talked about, that they’re struggling with money and they’re trying to figure out how to do it, and they’re looking for advice. So what kind of things are you sharing with them? Dave: My avenue into making a much better living with music has been, as I touched on, this whole world of educational and performing where you’re no longer strictly entertainment, you’re entertainment that’s teaching something, or you’re teaching something in an entertaining way. And that can be done for adult audiences in all kinds of different venues, in folk music venues, in concert series. I’ve discovered that just about every audience we’re in front of really appreciates learning something while they’re being entertained. There’s a whole world of ways to combine really interesting things that you’re interested in from other facets of your life. For me it’s history, but for other people it can be any number of other things, to tie that in and weave some of that into your performances, and get real comfortable talking to an audience in a way that you’re bringing them in and inviting them to learn things not about you, but about something else while your performing. So, for me, that’s been the way to get into the next level income-wise, is to pursue those kinds of performances. I wrote a post on that that has been very popular, that a lot of people have said was kind of eye-opening for them. And so I could send the link to you or just mention the title of it if anybody wanted to look for it online. Dave: The article is called Educate Your Audience and Write Your Ticket, meaning the day that I started to add some educational content to my performances was the day that I started being able to work in a whole new realm of places. So not only can you work where musicians work in clubs, and restaurants, and coffee houses, and bars, and wherever else, but now for me, I can work at historical societies because some of the music I do has a real historical context. And I can package it in such a way that it appeals to a museum, or a historical society, or a library, these venues that we don’t tend to think of as being venues for a music gig. So that’s always my advice to people simply because that’s the way I’ve done it, that’s the only way I know I can’t teach people how to get a million views on YouTube, or how to really make a living with streaming music, or selling downloads, because that’s not something I’ve done. So my angle is always finding a different way to perform so that you can get to the next level. David: Okay, yeah I like that. And you kind of touched on a couple of things that I wanted to ask next, which is great, maybe talk a little bit more about this idea of educational concert. What exactly is it? Dave: Well, I’ll explain some of the stuff I do. One of the things I do is I travel around the state for the New York Council for the Humanities. That’s sort of the sister organization to the state arts council. Most municipalities will have an arts council, and they will also have a humanities council. So I travel around the state for the New York Council for the Humanities doing what’s called lecture/concerts, it’s lecture-slash-concert, meaning you’re in these venues like colleges, and historical societies, and those kind of places, and you have a theme to your presentation. I do music from the war of 1812, for instance. So it’s a musical presentation, but the audience is sort of learning about the war of 1812, at the same time. So there’s about eight or 10 different themes that I do that tend to tie into history. Sometimes it’s a music theme, sometimes it’s the American folk bag, and we’ll talk about…and I’ll bring music from all over different little nooks and crannies of American life from the past, songs that Alan Lomax collected, and field hollers from the American South, and riverboat songs from the Mississippi River, and telling a tale of homespun America through the music. So these are the kinds of things that I do, but there are people in this world of educational performing that do things about…their passion is the environment, for instance. So they’ve written a whole bag of songs surrounding environmental issues. So they can now work, not only again, where musicians work, but there are environmental organizations that hire them, and there are nature centers that hire them, and there are different opportunities for them because they’re bringing this educational component to it. Schools would be another one. So that’s what I mean by “educational performing” is just taking something else that you’re interested in, and probably for a lot of people, if they’re writing their own music, what are they writing about? If you take a look, there’s probably some themes in there that you could pull out and actually package in such a way that it could provide you some new opportunities, in terms of places to play. David: I think that’s a really great approach, and maybe one that a lot of people haven’t necessarily considered. So the Erie Canal is a local waterway that changed life here in the Northeastern U.S. back in the early 1800s. So I had to learn is whole body of Erie Canal songs, which I had no idea what that meant, and then I had to learn some speaking lines. And we went into the school and this gig. Literally, I thought it was the weirdest thing in the world to go to a gig at 8:30 in the morning, rather than 8:30 at night, and have this, sort of there’s a little bit of a comedy in the show, and some set lines I had to say every time. It was all very strange at first, but it really opened my eyes to it. But, yeah, I think it’s an unknown way to make art and to make music for a lot of people. David: Exactly. Well, at the same time, in this niche-oriented world that we’re now in, I do hear about children’s music artists, and I think one of CD Baby’s top sellers for a long time was a lady who sailed full-time and then wrote about her travels and that kind of stuff. David: Yeah, I think it’s a totally valid approach in a sense, but I think it does take self-awareness, too, and knowing what your theme is or what you’re trying to share with your audience. David: Yeah. Now, let’s talk a little bit about the various concerts and workshops that you do, and you kind of touched on it, but I know that you kind of serve several different audiences in several different ways. So I’d love to hear more about that. Dave: Sure, I do occasionally just get to play music for fun, which is always a trade. I’d say 95% of the time, I’m performing solo, just again, for economic reasons. But I do have a band, and we play occasionally, and there’s a slight bit of education involved. We do older American folk traditions. We do sea shanties and cowboy songs and stuff like that. It’s mostly just for fun. And we play in folk venues, and performing arts centers, and places like that, and give concerts, and get people singing, and it’s all great fun. So that’s one of the contexts I perform in, and then probably 50% of my work is with kids in one form or another, whether that’s in schools or outside of schools in places like libraries, and community centers, and places like that where I’ll come in and do a concert for kids. And again, depending on the context, there might be a lot of education, or if I’m outside of a school setting, it might just be songs for fun with kids. But I bring in historical instruments like the Jew’s harp, and the spoons, and the washboard, and mandolins, and banjos that they’ve never seen before. So that’s all fun. And then there’s the stuff I do for adults, which is lecture/concert-type presentations on different themes. Those are, I guess, kind of the three main contexts I perform in. And occasionally I’ll just go sit in with a band for fun. My kids are finally getting old enough to where my wife and I feel like we’re getting freed up a little bit in terms of being able to go out and enjoy the local nightlife and the local scene again. So that’s always fun as well. I’ve grown up playing all kinds of stuff, blues, rock ‘n roll, jazz, country music, bluegrass, and old-time, so my interests are pretty broad in terms of music, and I still love to go hear people play and sit in with people. David: Yeah, and then on YouTube you have videos where you’re teaching people how to play spoons and things like that. David: So there’s also kind of an educational angle to your videos as well, which I like. Dave: Yeah, I’ve found that one of the best ways to get some traction on social media, for instance, is not to push, push, push, and promote, “Here’s my CD, here’s my next gig,” but to actually share something that some people might be able to interact with and get some value out of. So not everybody wants to learn to play the spoons, but anytime I share that video, it creates…people, for whom it struck their fancy, they’ll start sharing it, and commenting on it, and it’s a great way. So I’ve put these little educational videos together, and I also send them to schools. It’s great promotion, they can see and feel my vibe and what it is I do with kids, and it gives them a better opportunity to figure out if it’d be something they’d want to hire for their school. So, yeah, those are fun, putting those little educational videos together. And just, people are curious, and people love to be entertained, and they love to learn something. So if you can help them do any of those things, I think we’re all on the right track. Dave: I’ve tried that, too. I think we all have. But you learn pretty quickly that, yeah, that’s not why people are on social media. David: No, exactly. You can definitely share news, and valuable stories, and things like that, or again, what you said about educating people, or creating something that they’ll want to interact with and engage with, and that’s definitely a more viable approach, I think. David: So I guess I could have even asked this at the beginning, but you’re making a living as a performer and teaching artist. I’m aware that there’s a bit of a story behind this. How did that all come to be? Dave: Well, a couple of things, that phone call I got 20 years ago from my friend who was doing these Erie Canal songs in schools, that was sort of my entire into this world of educational performing, but at the same time, I was experiencing some difficulty. I had a difficult tendinitis problem in my right arm, really from overplaying. I was never trained in proper technique in terms of…I started on guitar, and now I play a bunch of different stringed instruments. And so, over the course of many years of banging out music in bars, I ended up really doing some damage to my right arm. I was playing through some pain and just holding too much tension in my right arm when I was playing. I was playing a fair amount of bluegrass music, which can be physically demanding in terms of the tempos and stuff. And so, just playing through bad technique for too long landed me with this arm injury, and I really needed to back away from those kind of gigs where I was going to be playing hard for three and four hours. I need to take a break from it. And so that happened at the same time that I started to do this work in schools. And I thought, “Okay, doing a 45-minute performance in a school where I’m talking some of the time, and singing some of the time, and playing, and the playing is real loose, it’s not super-demanding. That seemed like something that I needed to pursue as aggressively as I could so that I could continue to do music full-time without destroying my arm. And so that all happened at a really serendipitous time. David: Got you. So the tendinitis coincided with your move towards working in schools. I remember chatting with my friend, Patrick, about this way back when, I think in the early days of my first podcast where he was also overplaying. And although he was being trained, I think it was kind of the classical environment, so there’s a lot of perfectionism in that circle, especially on the guitar. David: So, yeah, I think over practicing, overplaying can definitely be harmful. Dave: Yep. Well, it was for me. And I know plenty of people who’ve never had an issue with it, who’ve been banging it out for 40 years, but for me, yeah, that was a big issue. And still to this day, if I do too much really demanding playing over too long of a period of time, that old injury flares right back up. So I guess I’ve found a way to work around it over time. David: Right, so you’re not necessarily always playing 3 sets of 45 minute a night, the standard pub format, right? David: Yeah. Okay, awesome. Are there any books you’ve read recently or in the past that have really impacted your thinking or approach to your career? Dave: Well, I read a fair amount of marketing books because I just think we’re all in business basically, and if we’re not treating it that way, there’s a small likelihood that it’s going to work out in terms of doing it full-time, you know? Dave: So I really pay a lot of attention to the current thinking in terms of how to market ourselves. And really there’s a lot of great free content out there, it seems like you avail yourself of this as well, that’s been put out by people who are doing essentially what’s called content marketing, which is people who’d love for you to buy something from them, marketing consultants, and such, but in order to attract the right audience to them, they’re putting out all this valuable information for free. So I spend a fair amount of time reading stuff like that. And in terms of…there was one book I read when I decided I wanted to do a lot more of this kind of school performing, there was a book I read called How to Make Money Performing in Schools (get it on Amazon US or Amazon Canada) surprisingly enough. And I think that’s still out there. It’s probably pretty outdated at this point, this was 20 years ago. But that was actually really helpful for me just in terms of it was a duo from somewhere in the Pacific Northwest, Seattle maybe or that area, who had been working in schools for a long time. And they’d learned the ins and outs of how to promote yourself to schools, and what to do when you’re there, and how to sell your merchandise at a school, how to sell your CDs. So that was another one that was really useful for me in terms of stuff I’ve been able to apply to my career. David: Yeah. You’re absolutely right, I am a big proponent of content marketing, not necessarily for the money that it’s made me directly, but for the many opportunities that it has brought me. Pretty soon people are asking, “Hey, could you come and write for us?” And then I become a staff writer on another blog. So for that kind of opportunity, it’s been invaluable, really. David: Awesome. That’s great. And actually one of my favorite books I read recently on that topic was Content Inc. (get it on Amazon US or Amazon Canada) by Joe Pulizzi. Dave: Yeah, same. I read that book. David: Awesome. Such a great book. I just couldn’t put it down, and I was actually hoping it was longer, even though it’s a really big book. 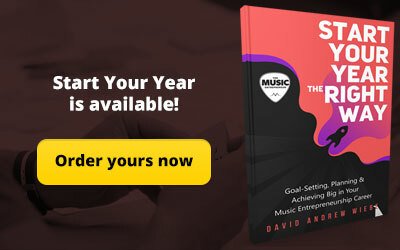 Dave: Yep, and I’ve heard him speak so many times on podcasts and such, that I felt like I knew part of his story already, but it was great to read, and he gave a lot of good, practical case studies from people who’ve used that model in order to build a business for themselves. I was just today, as a matter of fact, there was a podcast that came out that I was fortunate to be interviewed on marketing on LinkedIn. The podcast is called The Missing Link Podcast. 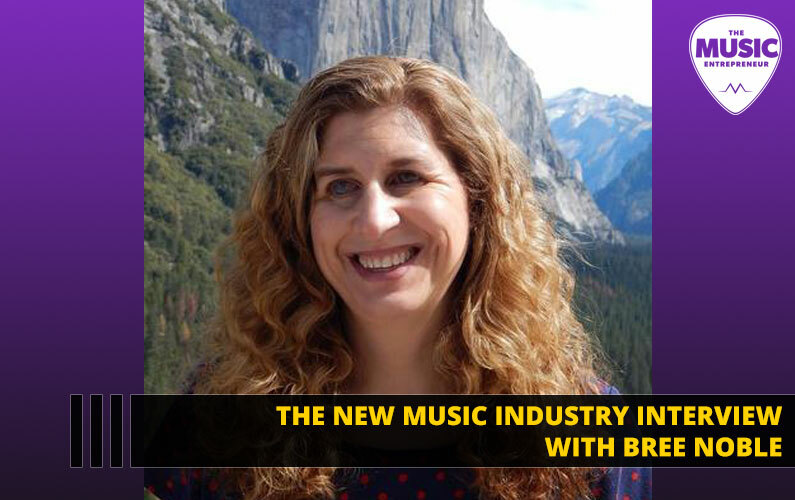 It’s put together by Rainmaker, and they reached out to me and they were super-surprised that any musician would be on LinkedIn at all. And so they really wanted to know, “Why did you decide to be there in the first place, and what made you think that LinkedIn would be a place where you could get some traction?” And so they had me on their podcast, it just came out today. I could send you a link to that. Dave: But, yeah, the sentiment is like, what would an artist be doing on LinkedIn? And that all comes from reading content marketing stuff and realizing that there are lots of different places we can be, and lots of different ways to connect with our potential audiences. And so I’ve learned so much from Joe Pulizzi and from other people, other content marketers. Dave: Absolutely. And I think so many of us today are feeling this pressure that we need to be everywhere. We need to be doing Meerkat or Periscope, and we need to be on Snapchat, and we need to be on Pinterest. There’s too many channels now. And I think a lot of the current best practices thinking is that, find the one, or two, or maybe three that you can get some traction on, where your audience is actually hanging out, and that you seem to be able to connect with people on, and just focus on those, rather than trying to do every single one of, “Yes, we have a Pinterest page, and yes, we have an Instagram page,” but there’s nothing there, there’s no engagement. David: Yeah, 100%. And I know Joe Pulizzi is also a proponent of that these days, but I totally agree with him, if it’s too much, start subtracting. Don’t add to your mess. Get focused. Absolutely. Dave: Wow, we sure have. No, there’s questions I’d love to ask you. I’d love to hear how you got into this, but maybe I’ll have to get you onto my podcast. Dave: Not that I have a podcast, but when I do. This has been great. Just, welcome anybody, all the stuff on my blog is completely free and there for people to get some new ideas from. And it’s not all about educational performing, I write a lot about just general marketing stuff that applies to musicians.